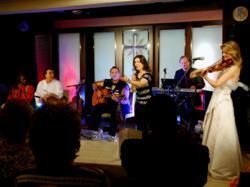 The Church of Scientology Hamburg hosted a Concert for Diversity in their new chapel March 9, featuring artists from five different nations. The eclectic mix of genre and style spanned the cultural landscape from Iran to Nigeria, New Zealand, the Netherlands and Germany. Each of the seven groups or artists brought to the audience their unique sound and expression, and the finale where they performed together capped the evening. The Church of Scientology of Hamburg newly opened its doors in a dedication ceremony on January 21, 2012, attended by 1,500 Scientologists, guests and dignitaries. The grand opening marked the culmination of the transformation of the seven-story Church into an Ideal Church of Scientology to better meet the needs of Hamburg’s growing Scientology congregation and the community at large. 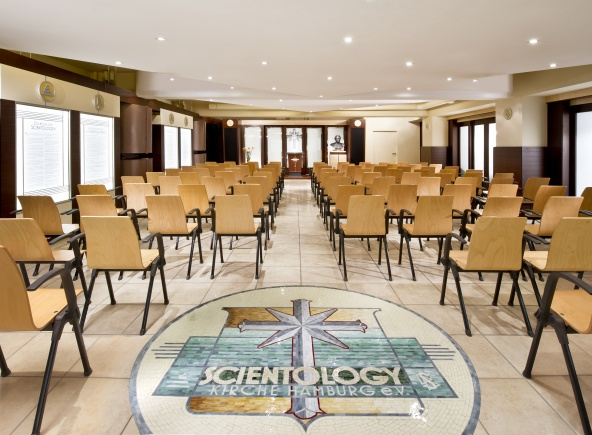 The renovation and grand opening was part of a program to open Ideal Scientology Organizations around the world to fulfill L. Ron Hubbard’s vision for the religion. They are designed to provide all Scientology religious services to their parishioners and to serve as a home for the entire community and a meeting ground of cooperative efforts to uplift citizens of all denominations. All congregational gatherings (including Weddings, Naming Ceremonies and Sunday Services) convene in the new Church of Scientology Hamburg Chapel.